Anderson Cooper has been investigating charges of abuse within Scientology for the past several months. This week, a four Â part series will begin running on CNN. Here is a link to find out more. Not much time to comment on this story from the American Humanist Association other than to say that Sean Hannity, with his recent comments about the Obama administration meeting with a group of non-theists, continues to display an amazing amount of smugness, ignorance, and outright idiocy. Here’s the article from the AHA. Although I never agreed with the beliefs of Christianity and all other theologies on the planetÂ I atleast understood why they came into existence. My personal belief is that religions came into existence to explain the unexplainable. The things that as human beings scared us were explained by beliefs and supernatural beings. Earthquakes, vulcanic eruptions, tidal waves and other natural disasters were scary and we needed an explanation for them. As pattern seeking humans we like to explain the unexplainable and sometimes a bad explanation is better than no explanation. This is unfortunately the foundation for religions on this planet. 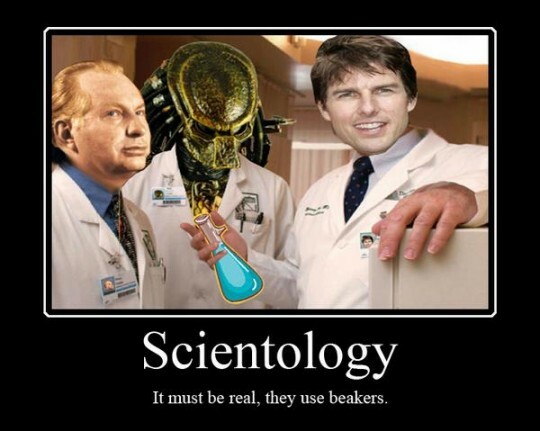 I don’t agree with them yet I still get it, but Scientology not so much. How is it possible in this modern age a religion could be born from the mind of a science-fiction writer and believed by thousands maybe millions of people worldwide. We’re supposed to be living in the information age. A time when technology and scientific reasoning should rule over silly notions and whimsical fancies. Yet it is in this very same age that theÂ beliefs of ScientologyÂ have beenÂ allowed to foment a foothold in the minds of millions of intelligent people. I’m not going to bore you with an explanation of what Scientologists believe, it’s all over the Internet. I like to say what Scientologists believe is crazier than the rest but frankly a virgin birth, resurrection, eternal life and a belief in the happily hereafter make it kind of tough. I have personally spoken to a member in long-standing of the Sea organization, a particularly dedicated group of Scientologists. He has since left Scientology but told account after account of what he personally witnessed as physical and mental abuse perpetrated on members of the Sea organization by their leaders. 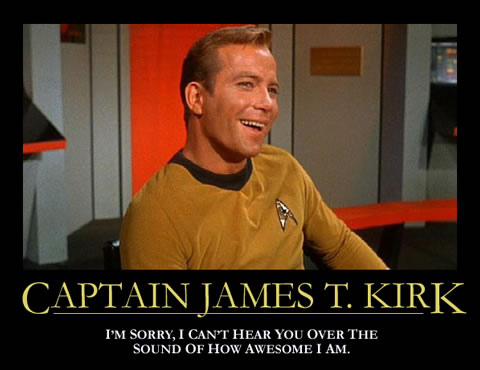 I’ve also spoken to someone who was personally onboard L. Ron Hubbard’s yacht and was treated in a very bizarre manner. The person I spoke to was there onÂ official legal business. This person was made to waitÂ over an hourÂ for L. Ron Hubbard to sign a document. Finally when the document reemerged from the bowels of the ship that Hubbard was on, itÂ did not contain his signature only what was alleged to be his thumbprint. This person was forced to return the next day to actually get a signature because in a court of lawÂ a thumbprint just doesn’t cut it. I have a very close friend who went to the celebrity center in Los Angeles to apply for a job. When my friend showed up for the interview he was told he had to give his car keys to Scientologist parking attendant. When my friend asked why he needed to give up his keys to the parking attendant he was told it was incase the car needed to be moved because the parking lot was so full. My friend looked around the parking lotÂ and Â realized he was only one of about 10 cars in a virtually empty parking lot. My friend beganÂ to feel aÂ little nervous and protested to giving his keys up at which point they said that’s our policy there was no choice in the matter. My friend decided not to apply for the job and left. Keep in mind I’m a nobody. I’m as far removed from Scientology as anyone can get. Yet I have three personal anecdotal stories about the weird internal goings-on in the Church of Scientology. Of all religions out there I’ve always had a sneaky fascination with Scientology. Scientology fascinates me more than the others for one simple reason. When you ask a ChristianÂ if they really believe that Jesus was the son of God, born of a virgin, died for our sins, and was resurrectedÂ they will say, “why yes of course they do”, they have to. Although I don’t believe what they believe, they generally will not lie about what their beliefs are. 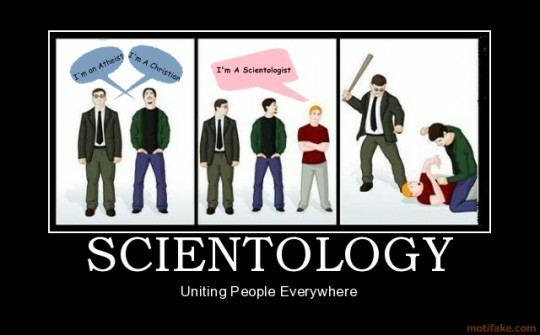 With Scientology it’s a whole new ballgame. Ask a Scientologists if they actually believe that the evil galactic overlord Xenu reallyÂ ever existed and released ThetansÂ in volcanoes that are now inhabiting humans, they act as if you are mocking them.Â Ask a Scientologists if they believe in a policy of disconnection which requires that they drop all connections to family, friendsÂ or those who have spoken critically of Scientology, to look at you quizzically. If you ask a Scientologists what the fair game tactic is all about they feign ignorance. They’re fair game policy simplyÂ states that anyone who opposes Scientology or speaks out against it is fair game to malign, insult, slander orÂ publicly destroy. This is a practice handed down from L. Ron Hubbard himself. He writes about it in Scientology documents. Yet ask any Scientologist about these aforementioned policies and they will deny all of it. I find it amazing people who are alleged to be intelligent, don’t Â see straight through this for what it truly is, a moneymaking scheme with megalomaniacs running it. In the atheist community, there are two sure things. The first is, of course, that atheists don’t believe in any gods. The other thing is that a lack of belief in any gods is pretty much the only universally common attribute of atheists. Atheist groups sometimes have trouble gaining or keeping members because, as the president of my local group, the Pennsylvania Nonbelievers, says, organizing atheists is like herding cats. Because of this incredible variety in attitudes, outlooks, worldviews, political leanings, and philosophies, it’s no wonder that atheists don’t always agree on everything. One point of disagreement is commonly at the forefront of atheist discussions… how to grow our community. How do we let other people know it’s okay to be an atheist? How do we get rid of the stigma associated with the term “atheist” and turn it into a positive? How do we go about criticizing religion, superstition, and pseudo-science without shooting ourselves in the foot? In one case, there are outspoken, in-your-face atheists. They’ll wear “There is no god” t-shirts or accessories that proudly proclaim their atheism. They’ll bring up the topic constantly (sometimes in what some people consider inappropriate circumstances) and argue about it. They almost seem to be looking for a fight. In other cases, there are proponents of science and critical thinking. They tend to focus more on education, whether it be astronomy, biology, or skepticism. They’re sometimes bold, but usually polite (but not always), and though they don’t shy away from outspoken criticism of archaic religious dogma, they tend to see atheism as the result of clear, rational, scientific thinking… not vice versa. Other atheists tend to be quietly comfortable with their beliefs, and though they don’t go out of their way to bring them up, if questioned (or if the subject presents itself), they’ll happily (and amicably) discuss the matter, offering criticism where it’s due, but keeping a friendly tone and listening to the opposing views. Of course, none of these are absolutes. People are combinations (or eclectic hodgepodges!) of these basic types and it’s probably rare to find someone who always fits in one single category. I tend to be a combination of the science category and the friendly category. Why? I’m not an “in your face” kind of person. I’m friendly by nature and I like making people smile. I’m generally very good at gauging a situation to know what’s appropriate and what’s not appropriate, so the idea of wearing a t-shirt that proclaims “ATHEIST” to work or to a 4-H meeting or to anything other than an atheist gathering seems incredibly rude to me… in much the same way I would find it rude for someone to wear a t-shirt saying “CHRISTIAN” or “MUSLIM” or “Abortion is murder!” on it in those same situations. For me, it’s far more appropriate to wear a pro-science t-shirt… and I think that’s a much better starting point for a discussion. However, if someone brings up the topic of religion or asks me about it, I have no qualms about discussing it, but I’m not out “looking for a fight” in order to tell someone they’re wrong and start “preaching the gospel” of atheism. To me, that seems silly and counterproductive. Many (most?) atheists dislike fundamentalist evangelism, especially the “in your face” kind, and if someone is just out looking to start a fight in order to “preach” about atheism, it strikes me as the same thing. If someone says that the Earth is 6,000 years old, I’ll question them. If someone tells me that vaccinations cause autism, I’ll question them. If someone claims that religion is the only source of morality, I’ll question them. If someone tells me that this country is a Christian nation or that Obama is a fascist or that evolution isn’t true or that the moon landing was faked… I’ll question them. I’ll do what I can to educate people or at least provide them with pointers to get the information they need to make rational decisions. What I’m not going to do is walk up to people and, out of the blue, say “I’m an atheist and if you believe in Christianity, you’re wrong.” To me, that’s sort of what a t-shirt proclaiming “ATHEIST” says. 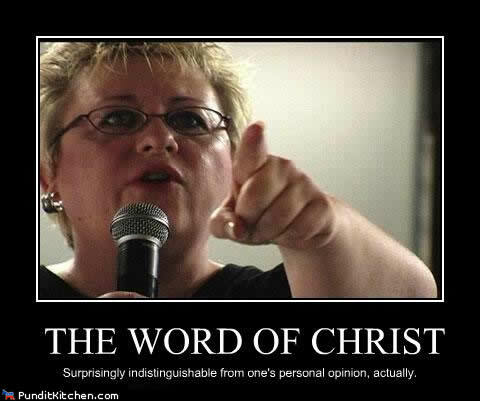 It’s a chip-on-the-shoulder dare to Christians or Muslims or Hindus. It won’t win friends. It won’t win converts. It won’t educate. It only aggravates. …and I think that’s rude. Craig and I returned from the Atheist Alliance International Convention in LA last night and I’m struggling to get back into the groove of my East Coast time zone. I wanted to post my impressions of the convention, including my highlights and disappointments. Overall, I’d have to say that I loved the entire event. There were some technical issues every now and then and a bit of disorganization here and there, but it didn’t detract from my experience at all. Almost without exception, the people I encountered were friendly, warm, polite, and fun-loving. There were smiles everywhere I looked. The event was also nearly devoid of religion-bashing, which was a delightful surprise. There were some expected jabs at creationists from some speakers (where appropriate), but that was about the extent of it. The event was positive, informative, and socially delightful. We were privileged to have lunch and dinner with Margaret Downey, who was a pure delight. I sat next to a wonderful couple from Vancouver (whose names escape me, sadly) at dinner and we had great conversations about religion, politics, and philosophy. At the Sunday night social, I had an exuberantly fun time with Richard Haynes (of Atheist Nexus), Sean Faircloth, Trevor (not Victor), and Carla the veterinarian who delighted in explaining the intricacies of various castration techniques (OMG I hope I got her name right). Topics ranged from zombies to Hello Kitty to health care to the aforementioned castrations (which seemed to come up far too often, with hilarious results). It was wonderful. I don’t think I’ve ever been to a conference before (professional or personal) with that many openly friendly people. As for the speakers and events, here’s a summary of my experience. Friday was the opening day and after a live podcast for Dogma Free America (which covered current events and was quite entertaining), almost all the presentations were paralleled by two others, so it was tough to choose between the speakers (the program wasn’t always clear about the topics). My first choice was a good one and I listened to Stephen Frederick Uhl, an ex Catholic priest and author of Out of God’s Closet, speak about ethics and morality without religion. I enjoyed his talk immensely and found much of what he had to say paralleled some of my own ideas about ethical/moral guidelines… only he explained things better and in more detail. I wasn’t as fortunate for my second and third picks of Sunsara Taylor and Maurice Bisheff. Taylor spoke about abortion, but was way too radical in her views for my tastes… and for the tastes of most others in the room, based on the comments and questions she received. Bisheff spoke about Thomas Paine, but his presentation was terribly dry and seemed to promote Paine’s deistic views which, according to this talk, approached the level of metaphysical woo. Friday night there was a live screening of Real Time with Bill Maher (with Richard Dawkins as guest) after which we got a hilarious presentation by Brian Dalton (of Mr. Deity fame) along with the entire cast of his show who did some of the sketches on stage. Near the end of his presentation, Richard Dawkins and Bill Maher arrived and Maher was awarded with the Richard Dawkins award for his movie Religulous. Maher then delighted the crowd with some great comedy, including a reading from Rick Warren’s The Purpose Driven Life (you can see a clip on YouTube of that bit). After the main convention hall events, there was a comedy fundraiser for AAI with some very, very funny comedians. Saturday was science day and all the speakers were directly sponsored by the Dawkins Foundation for Reason and Science. Every talk I attended was brilliant and informative and inspiring. Some of these talks will be covered in more detail by Craig or me in separate posts, but here’s a summary. J. Anderson Thomson, an evolutionary psychologist, spoke about the evolutionary foundation for morality and the studies that are being done about the brain and how it process moral decisions. Lawrence Krauss, a physicist (and author of The Physics of Star Trek), spoke about the universe, its expansion, its origins, and its future… and made physics not only interesting and entertaining, but incredibly funny. Carolyn Porco, a planetary scientist and the leader of the imaging team for the Cassini project, spoke about Cassini and showed some remarkable images of Saturn, including this one, Saturn eclipsing the Sun and with Earth as a small dot just above the left side of Saturn’s rings. A biologist (whose name I don’t have at the moment) gave an amazing talk about stem cell research and what’s been accomplished so far, what being worked on currently, and what the future holds. His did a great job of making it all understandable to laymen. Jerry Coyne, an evolutionary biologist and author of Why Evolution is True, spoke about the evidence for evolution in various fields. His talk was probably my favorite of the convention, since it’s one of my favorite topics (and favorite books) and he was a very entertaining speaker. Richard Dawkins was the keynote speaker after the dinner banquet and, being on a book tour, read from the final chapter of his new book about the evidence for evolution titled The Greatest Show on Earth. Saturday evening, there was a live music party hosted by Atheist Nexus. I was completely bushed at this point and didn’t stay around for much of it… and had a Sunday breakfast scheduled for 7:00 am with the board members of Atheist Alliance International. I had breakfast with Stephen Uhl (mentioned earlier) and Stuart Beckman, the current president of AAI. We gave Beckman some feedback about the convention and had some great conversations about building support in the atheist/skeptic/free-thinking community and getting rid of the stigma society attaches to atheism. There were two headline speakers after breakfast. Jonathan Kirsch, religious historian and author of The Grand Inquisitor’s Manual, spoke about the Inqusition, its origins, its methods, and how they have been used over the centuries… even up to the current day. It was a fascinating talk and he was an entertaining speaker. Eugenie C. Scott, executive director of the National Center for Science Education and author of Creationism vs. Evolution: An Introduction, spoke about the verbal and legal tricks that creationists use in their attempts to insinuate creationism (or intelligent design… same thing) into our schools’ science curriculums. She was warm and funny and it’s reassuring to know that she and her staff are on top of the issue. Sadly, Richard Haynes, the founder of Atheist Nexus, was moved to after the closing ceremonies, so only a small crowd got to hear his talk about his story, starting Atheist Nexus, and how to help build the atheist community.Â He was very friendly, humorous, and relaxed and made a great presentation. It would be great to have him as a headliner at the next convention. Sunday night there was an informal social at the hotel bar from 7:00 to midnight for those folks who were staying over until Monday. I got there a bit early, doing some writing and drinking Diet Coke, until folks started to arrive… and then it was a phenomenal evening of hilarity, as I mentioned at the start of this post. Overall, this was a terrific event. The minor glitches and snippets of disorganization didn’t phase me and the speakers were informative and inspirational. What really made the event special, however, was the sense of camaraderie, friendship, and warmth that was exuded by the attendees. For folks that are frequently labeled with all kinds of derogatory terms (hateful, angry, rebellious, etc), they certainly blew away that stereotype and made the convention center into a place that felt welcoming and comfortable… even for non-atheists (of which there were a few). Leavin’ on a jet plane! AAI Convention! Tomorrow morning (at a horrifically early hour), Craig and I are flying out to Burbank via Los Angeles for the 2009 Atheist Alliance International Convention. Among the speakers are Richard Dawkins, Jerry Coyne, Daniel Dennett, PZ Myers, Sean Faircloth, Eugenie Scott, and Lawrence Krauss. I’m not sure if we’ll get a chance to do any updates during the convention, but we will if we can. We’re looking forward to an awesome weekend and a fantastic convention with over 500 fellow atheists! …and we’ll definitely report back with all the great stuff we see and hear. I have had many theological discussions with Christians and inevitably at some point during our discussion the comment, “you’re taking the meaning out of context” is dropped. I think that a contextual understanding of the bible and Christianity is important also.Â Let me take this opportunity to try and put the bible and Christianity in it’s proper context. There is plenty of terrible un-Godlike behavior in the new testament, but for sure it is easier to quote better examples of God’s loveless actions from the old testament. I have had people tell me, “…well yeah that’s the old testament but the new testament is much more peaceful”.Â I will be taking quotes for most of this article from the old testament.Â I will be doingÂ so because the old testament is particularly brutal. If you are a Christian and you believe the inspired word of God is infallible (and you have to), why does it matter that only the brutish old testament is mentioned? Having been written first, it has the distinction of being perhaps more timely and therefore more accurate (disbeliefÂ appropriately suspended)Â to the events that it describes. Let’s start with the bronze age’s answer to Las Vegas, Sodom and Gomorrah. God was not happy with the evil taking place in the twin cities so he decided to rain down upon them “burning sulphur.” This is odd and cruel at the same time. Odd because if you were God, do you think burning sulphur would be the best way toÂ completely wipe out two cities? Cruel because it involves burning men, women and children. Wouldn’t a 30 mile wide plasma beam be more efficient or at least more humane? It’s also a lot more cool than… burning sulphur.Â Â Keep in mind bronze age constructionÂ had advanced fromÂ an earlier technique of packed clay walls to actual bricks made from mud.Â Mud bricks don’t burn well, in fact heat is what is used to dry them. Weird God would choose such an incredibly inefficient way to smite people… unless the bible was written solely by men who didn’t know what a plasma beam or anything else more advanced wasÂ than… burning sulphur. Hard to keep this story any more in context than that. Next, let’s talk about God’s quirky sense of humor. Just imagine if you had a neighbor whose name was, oh I don’t know, ahhhh… Abraham. Let’s say some “guy” showed up at Abraham’s house one day and put a gun to Abraham’s head and tried to force him to kill his son, ahhhhh… Isaac. Then right before Abraham did it the “guy” stopped him and said “Wait! I just wanted to see if you’d do it!”Â Would we think this “guy” was funny, smart, all knowing, all powerful, peaceful, kind, or loving. No, we’d think this “guy” was vicious, cruel and twisted. I think you get the point. If God was omniscient, he would have already know what Abraham was going to do or he’s just a malevolent jerk who gets off on yanking mankind’s chain. Not very Godlike… unless God was a creation of mankind who from time to time does suffer from these character flaws. Hard to keep this story any more in context than that. At midnightÂ the LORD struck down all the firstborn in Egypt, from the firstborn of Pharaoh, who sat on the throne, to the firstborn of the prisoner, who was in the dungeon, and the firstborn of all the livestock as well. Pharaoh and all his officials and all the Egyptians got up during the night, and there was loud wailing in Egypt, for there was not a house without someone dead. Does anything here strike you as odd? Yeah I know, “why should God kill the children for the wrongs of their parents?”. Sure that’s unforgivingly evil, but that’s not even the “odd” part. I’m talking about killing the firstborn of the livestock! The livestock? Here is context for you. Throughout the bible, God has penalized mankind by killing his children and/or his livestock. In an earlier article I quoted Leviticus 26:21-22. If even then you remain hostile toward me and refuse to obey, I will inflict you with seven more disasters for your sins.Â I will release wild animals that will kill your children and destroy your cattle, so your numbers will dwindle and your roads will be deserted. God sure has a thing for killing livestock… or does he? Seems to me far more likely that mankind in the bronze age recognized how valuable livestock was to the other bronze agers of the time and decided to use livestock as leverage in the good book. Sounds again like mankind was truly doing the story telling here. Hard to keep this story any more in context than that. I could go on…but I think it is clear that contextually these stories and most likely the entire bible,Â were man made from start to finish. How modern day rational people can’t see that the bible is riddled with un-Godlike, but very human, behavior is astounding to me. 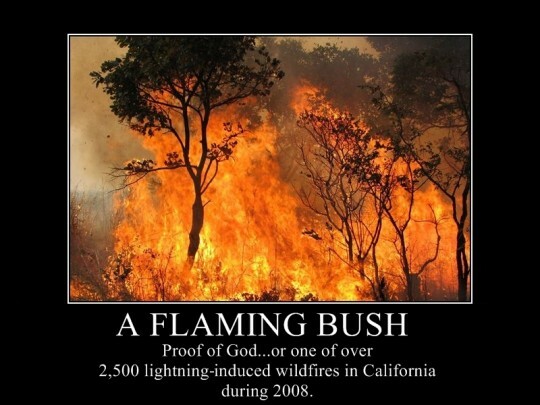 …Sometimes a burning bush, is just a burning bush.